Ride and watch one of the five monuments in cycling history; The Tour of Flanders better know as de Ronde van Vlaanderen! 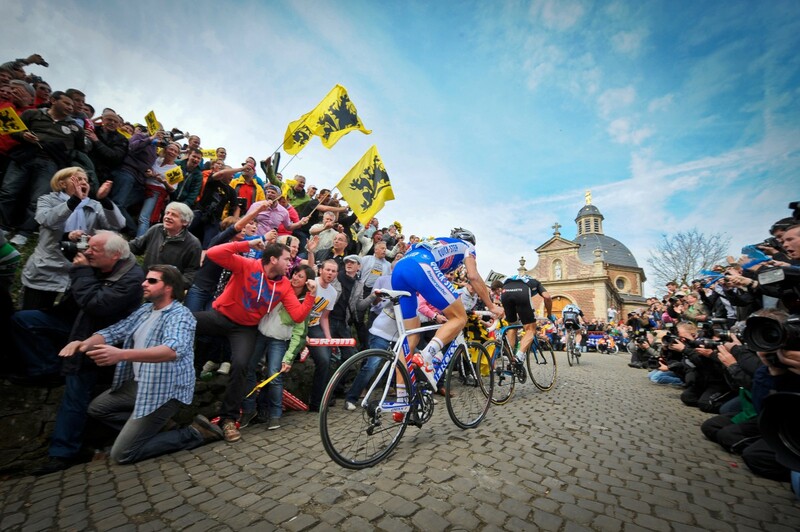 Cycling the Tour of Flanders means; iconic climbs, through tiny medieval villages on famous cobblestone tracks. 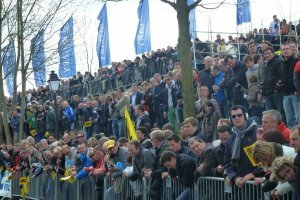 The Tour of Flanders is a national day in Belgium with millions of spectators. 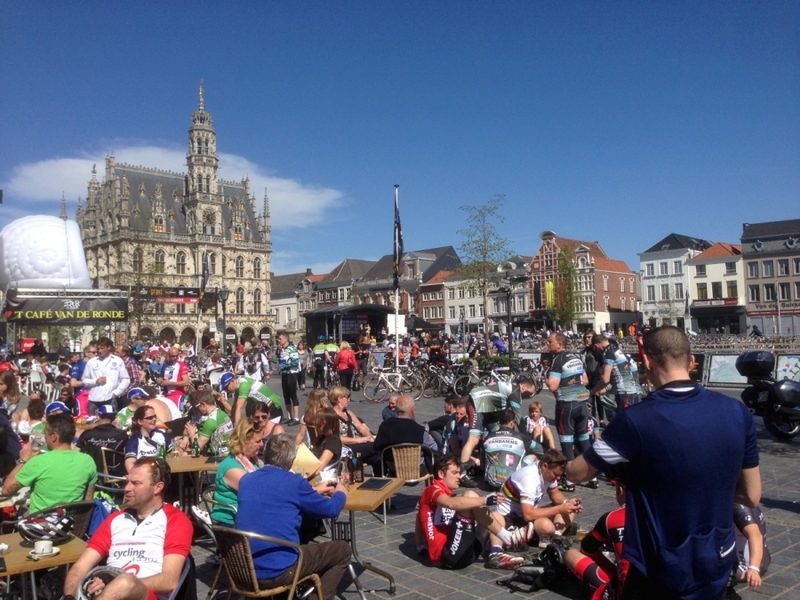 Oudenaarde will have the finishing line. Cycle and watch the Tour of Flanders 2020. From March 27 until March 30. Please note: private Spring Classic tours come with a different itinerary than we have on our website. We can fully customize your private Spring Classic cycling trip up to 15 persons maximum. Stretch your limits and feel a bit of heaven! Watch and ride one of the most important classics in the world; The Tour of Flanders. Cycling Flanders is cycling many cobblestone climbs. Cycle all those famous cobblestones sections and find out how it feels to ride your own Tour of Flanders. This will be your once in a life time Experience! “We Ride Flanders” around 16000 riders tackle the Ronde van Vlaanderen course. Those die hards who taking part in the Tour of Flanders Cyclosportibe can choose from four different distances with the two longest courses (180 km and 227 km) departing from Antwerp, just like the pros, while the two shorter courses (71 km and 127 km) depart from Oudenaarde. For the participants departing from Antwerp, the start on the Grote Markt will be followed by a new run-up part due to 7 cities and towns of the Tour of Flanders (Sint-Niklaas, Hamme-Zogge, Berlare, Aalst, Erpe-Mere, Herzele and Zottegem) in the direction of the Flemish Ardennes and its legendary hills. The internationalization of the Tour of Flanders Cyclo has long been an established fact, which was proven last year since for the first time, the Tour included more foreign riders than Belgians. 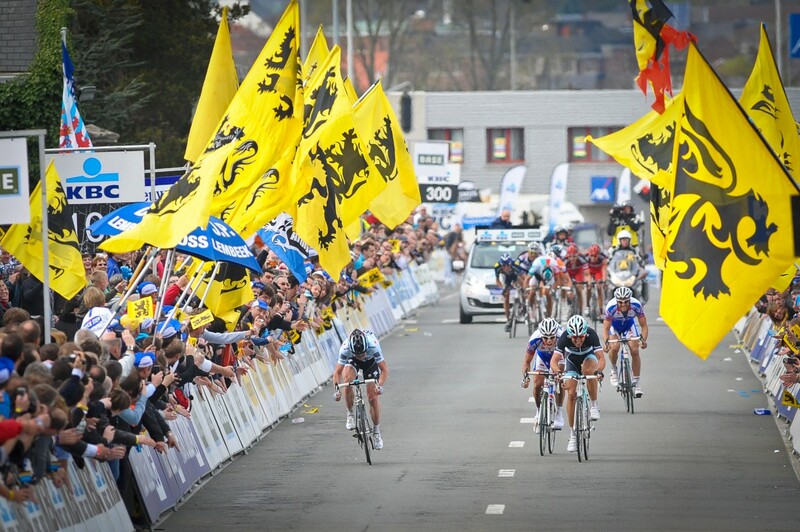 The Tour of Flanders Cyclo has now been given the subtitle ‘’We Ride Flanders’’ in its communication. March 27. A day to celebrate! 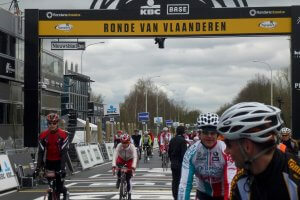 The 28st edition of the Tour of Flanders cycle event. This cycle event takes place one day before the professional race. Cycling Flanders is riding cobblestone climbs! Discover the beautiful medieval city of Ghent and taste Belgium’s gastronomic kitchen.Cycle Classic Tours gives you the opportunity to ride and watch one of the five monuments in cycling history; The Tour of Flanders. Cycling the Tour of Flanders means; iconic climbs, through tiny medieval villages on famous cobblestone tracks. 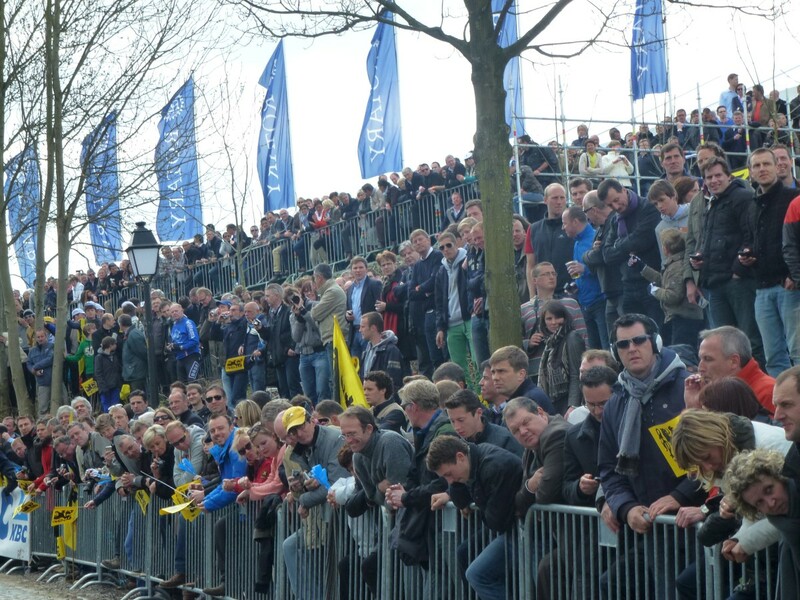 The Tour of Flanders is a national day in Belgium with millions of spectators. 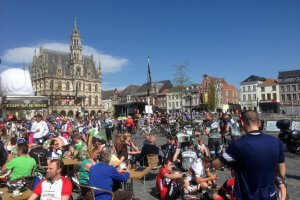 Oudenaarde will have the finishing line. The course track includes three climbs over the Oude Kwaremont and the Paterberg. Check in at your hotel around 14.00. Transfer from Ghent railway station on request. At 17.00 a welcome drink awaits you. The tour leader will explain the coming activities and itinerary for this Cycle Tour of Flanders program. Are you up for the challenge?! Now it’s time to do some work!!! Today you can join the Tour of Flanders with some other 16.000 cycling fanatics. This biggest cycling event in Belgium is a must do/see event. Cycle the Tour of Flanders yourself. The former 27st editions have been a fantastic success. 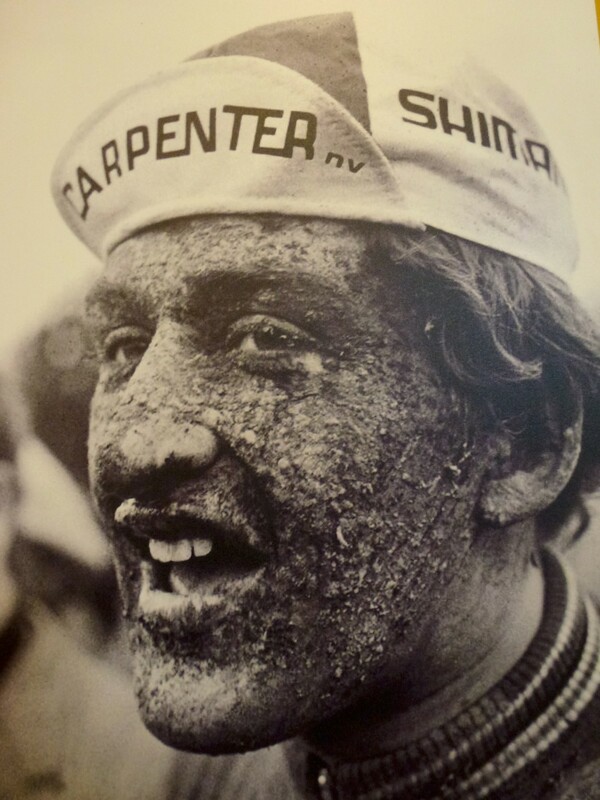 This challenge always takes place one day before the professional Tour of Flanders Classic race. Cycling Belgium is riding cobblestone stretches and cycling curving pathways. Join in on the atmosphere. It certainly is a life time experience! Newly added to this edition is a fourth distance of 180 km which ensures each participant has a course tailored to his or her needs. Those taking part can choose from four different distances with the two longest courses (180 km and 230 km) departing from Antwerp, just like the pros, while the two shorter courses (75 km and 130 km) depart from Oudenaarde. For the participants departing from Antwerp, the start on the Grote Markt will be followed by a new run-up part along seven cities and towns of the Tour of Flanders (Sint-Niklaas, Hamme-Zogge, Berlare, Aalst, Erpe-Mere, Herzele and Zottegem) in the direction of the Flemish Ardennes and its legendary hills. Besides the well-known hills such as the Oude Kwaremont - Paterberg, the Wall of Geraardsbergen has once again been included in the course. 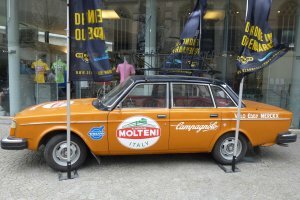 The internationalization of the Tour of Flanders Cyclo has long been an established fact, which was proven last year since for the first time, the Tour included more foreign riders than Belgians. After the Tour of Flanders Challlenge transfer back to your hotel. Evening at leisure. Tour of Flanders, day at the races! There’s nothing better than being a spectator of one of the greatest Cycle Classics on earth. Today is National party day in Belgium. Everybody comes out to celebrate this monument of cycling. Have fun and enjoy your day with the Belgium’s. 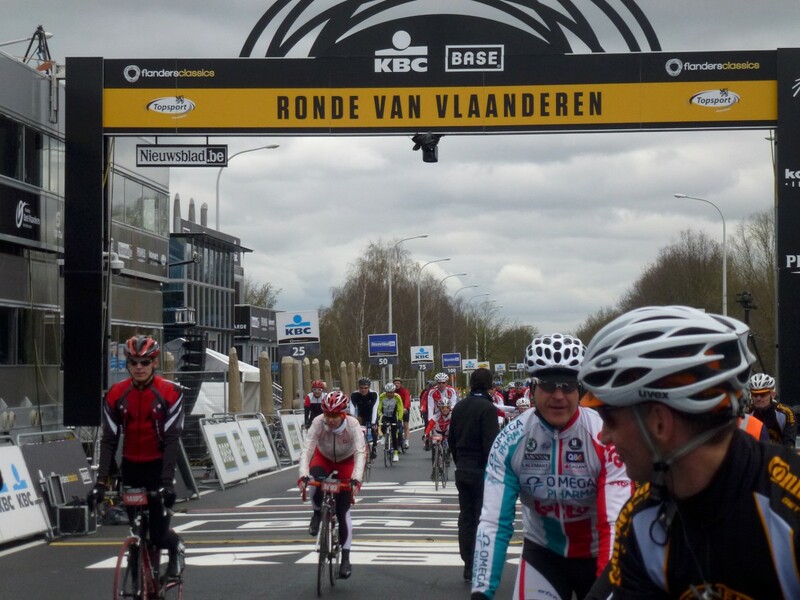 The Tour of Flanders Spring Classic is waiting for you! You get up early and after breakfast you’ll leave as soon as possible to go to Antwerp to watch the start of the Tour of Flanders. Pop around with the professional riders and see how they prepare for a remarkable day. 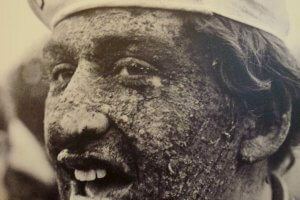 In the morning you leave to Antwerp, at the Grote Markt you will see the presentation of all riders. After the start you continue to the Oude Kwaremont cobblestone area where the professionals will pass by a couple of times. When the race is finished you will go back to Ghent where you will have a farewell dinner with your new fellow cycling friends! Departure day…..Time to say goodbye, a good flight back home or a pleasant stay in Belgium. If you want to extend your stay sign up for the Cycle Paris-Roubaix Tour Transfers to Ghent railway station will be made by the tour guide(s). Airport Belgium’s main airport is Zaventem International Airport. There are many flights to and from Madrid/ Paris Charles de Gaulle/ Amsterdam/ Frankfurt/ Berlin/ Rome/ London Heathrow/Copenhagen/ Barcelona/ Athens/ Zurich and many more very important cities from all around the Globe. The second most important is Charleroi International Airport. Ryanair has a lot off flights to and from Charleroi. Train The Airport’s train station is located below Zaventem International Airport. There are 4 to 5 trains an hour to/from Brussels North, Brussels Central and the main station Brussels Midi. From here all trains connect you to several destinations in Belgium. International Trains will leave to and from Brussels Midi Railway station. The Thalys (fast train between Paris and Amsterdam) has frequent fares between Paris Gare du Nord - Lille - Brussels Midi- Antwerp- Rotterdam - Amsterdam at least every half an hour. The Eurostar (train which connects Great Britian to Continental Europe) from/ to London has upto 9 fares per day. Gent is only a 30 minute ride from Brussels Zaventem Airport. Ghent’s main railway station is Sint-Pieters. When the tour operator confirms to us. We confirm to you and charge you’re a deposit fee of € 400 per person plus a € 15 booking fee.